To date, every PermaTrak job except one has been publicly funded - whether that funding comes from federal, county or local sources. As of June 2016 that includes over 110 installed PermaTrakboardwalk or pedestrian bridges. Typically the designer on these publicly funded projects will include a technical performance specification with the construction drawings. 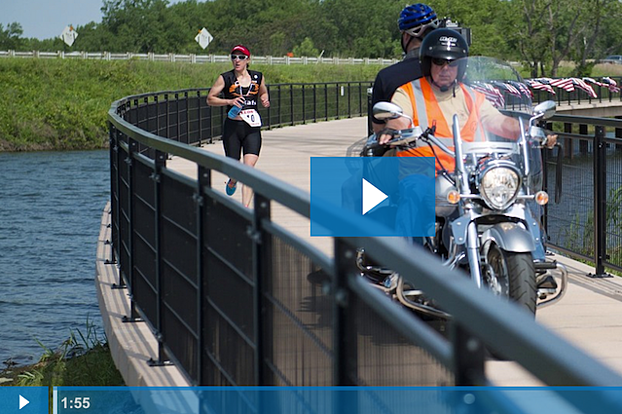 This performance specification establishes the minimum standards of the desired products for your publicly funded boardwalk or pedestrian bridge project. PermaTrak is considerably different then the status-quo of boardwalk materials- the reinforced concrete boardwalk system itself is very different than Southern Yellow Pine or composite decking products, and the design support from PermaTrak's engineering team is far more comprehensive than what most boardwalk or pedestrian bridge companies offer. The ideas presented in the video above can help designers go through the PermaTrak boardwalk plans and specifications process in a way that ensures the end product will be durable and truly maintenance free. This downloadable Word doc is an example of "precast concrete boardwalk system" specifications used in the bid documents of a recent publicly funded project- Crescent Green Greenway in Cary, NC. As you can see, the bidding document also included a “technical precast concrete boardwalk system" specification that provided verbiage on what was considered the minimum standards and alternate product requirements for the boardwalk. Specifically, you will notice the criteria laid out in section 1.2 Alternate Requirements as well as 1.3 Minimum Standards. These sections ensure you (the reviewer of any submitted "equals") can feel confident that the final product will be a boardwalk designed by a P.E.. They also state that the timing of submittal for any equals must be made two weeks prior to bid, which provides your team time to evaluate alternate design options before a contractor's price is set. No one wants to get in a post-bid situation negotiating with a contractor about "equal" status. 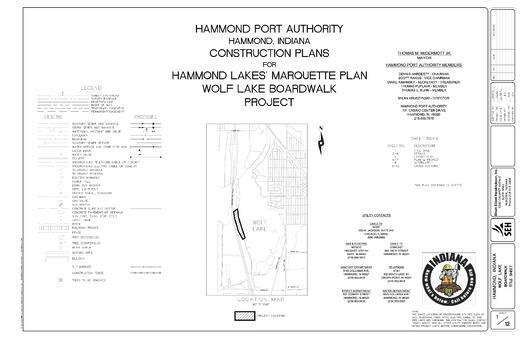 A similar technical specification and accompanying set of construction drawings was used for several commercial boardwalk/trail projects in northwest Indiana that were funded with local (Hammond, IN Port Authority) and state money (Indiana DOT). These projects started with basic conversations about the PermaTrak concrete boardwalk system and progressed into PermaTrak working with the design consultant to provide boardwalk design drawings. The specifications for these INDOT projects stated that the basis for the specifications was PermaTrak but approved equals were acceptable, known as the "or equal" clause. In order to eliminate a “guy with a concrete mixer” from throwing out a number, this specification required that all alternates being considered by a bidding contractor be pre-approved prior to bid. Similar to the Alternate Requirements and Minimum Standards wording from the Crescent Green Greenway specification example above, this specification helps an owner receive a quality product at the end of the day. The consultant engineering firm, SEH, Inc. was tasked with reviewing any alternates and the minimum criteria needed to be satisfied before any approval was given to an equal. We think you will find that these specifications are fair and simply ensure any other precast concrete boardwalk supplier to go through the same steps as PermaTrak (layout that fits your project alignment, engineering proof that it can support the loads, precaster qualifications, experience, warranty etc.). We also get the question about submitting design documents or construction documents for these publicly funded projects, "Would PermaTrak's construction drawings typically be done for the selected contractor as a submittal?" Typically our engineering team works with your design team to pull together detailed construction documents, provided the project meets PermaTrak's selection criteria. These drawings are usually created by our engineering team with the consultant's feedback. If your project is a good fit for PermaTrak, we can pull together site-specific drawings showing plan view, cross sections, railing connection details, foundation connections, etc. You can schedule a call with a member of our engineering team here to learn whether your project is a good fit. Many times if there is engineering and foundation design involved, we can do that design ahead of time, provide you with that information and give you those drawings. You can take these drawings and put them on your title block or simply add them to the bid set. Our engineering team can also assist in the foundation design when we are provided a geotechnical report. Most often, we do not charge engineering fees for this work; it's our way of supporting design teams who specify PermaTrak. When you are ready, we can generate a preliminary layout drawing for your boardwalk project - click here to get started. Once these drawings are turned over to your team and included in the bid package, they are accompanied by a written technical specification as mentioned above. 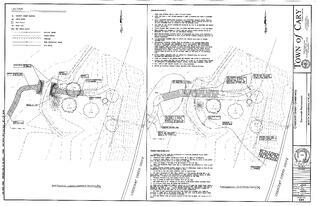 Post-bid, when a contract is awarded to the GC, we will submit shop drawings for approval. Once we receive an approved set of shop drawings, we can schedule for production. 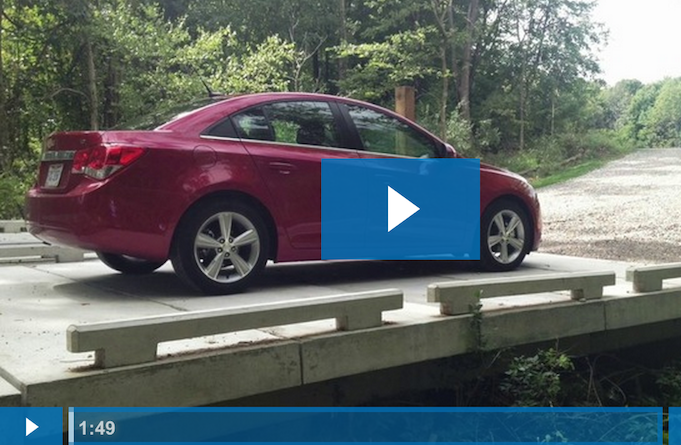 Some owners have realized savings by purchasing the PermaTrak concrete boardwalk material direct, which can save on contractor markup and possibly sales tax. Contact us to discuss whether this is a possibility for your project. Except for one job, every PermaTrak project to date has been publicly funded and we can provide you examples of how that's been done. We've been involved in federally funded jobs, as well as local, county, city type projects. Typically we collaborate with the designer and can provide some standard details, some standard specifications, and even some performance specifications that would be included in the technical specifications. Your project might have engineering drawing details that would show a precast reinforced concrete boardwalk system. First, you're going to call out the material that you want, and then we would have technical specifications that would support that type of boardwalk system. PermaTrak can generate the appropriate drawings and details, and then provide them to you (AutoCAD or PDF format). You can take those and use them on your company's border, and include them in the bidding documents. Many times, if there's engineering and foundation design involved, PermaTrak can do that design work and give you those drawings to include in your bidding documents. 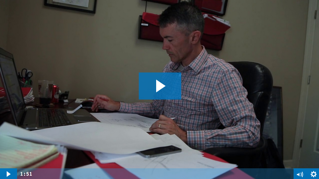 Does PermaTrak Charge Engineering Fees for Construction Documents?